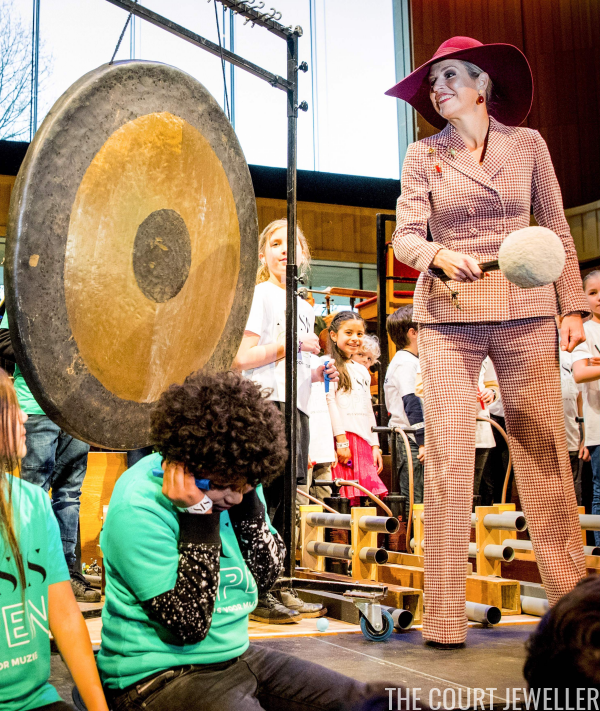 On Friday, Queen Maxima of the Netherlands visited a new concert hall in Arnhem, and she brought some creepy-crawly bejeweled friends along with her. 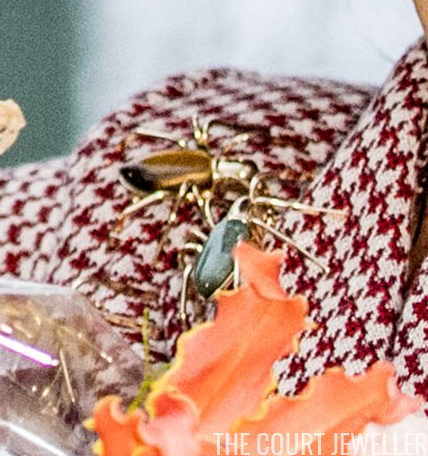 Here's a slightly better look at the brooches. 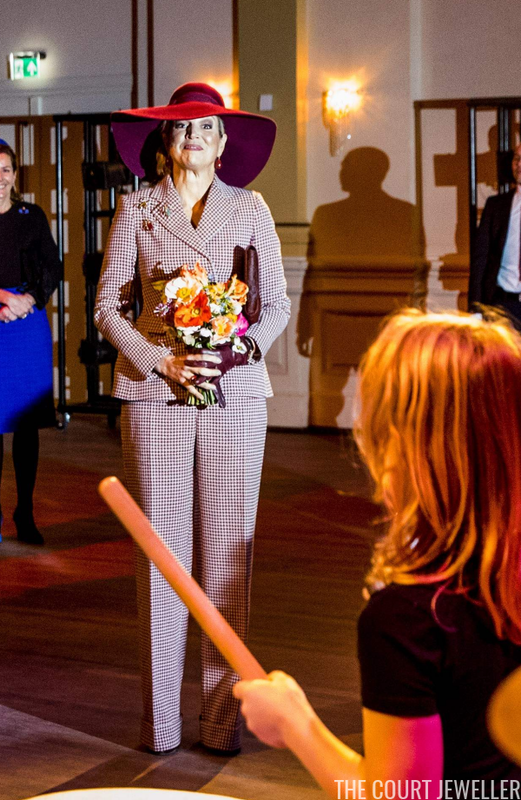 Maxima paired them with bold earrings. 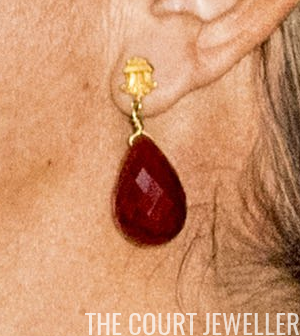 These feature a golden stud and a faceted, briolette-style red drop. Here's a look at her entire ensemble from the event, which looked like an absolute blast.